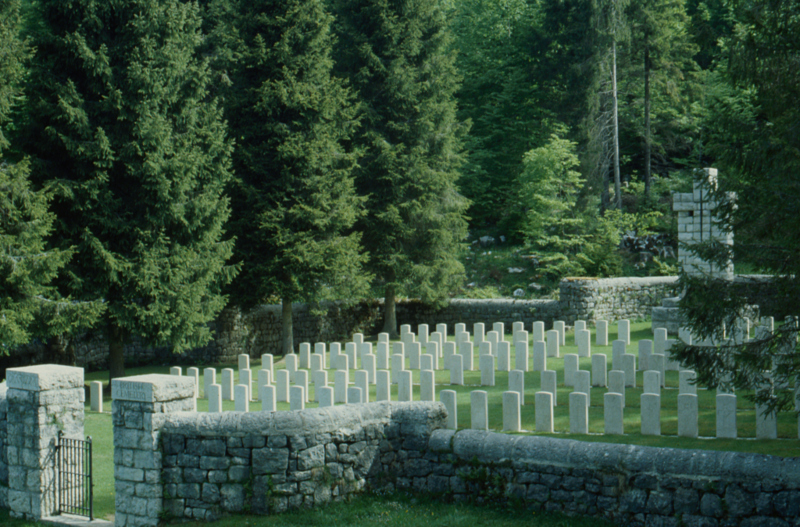 One of 5 cemeteries situated on the Asiago Plateau, in the province of Vicenza, this cemetery is 2 kilometres south of the village of Cesuna in the Commune of Roana. 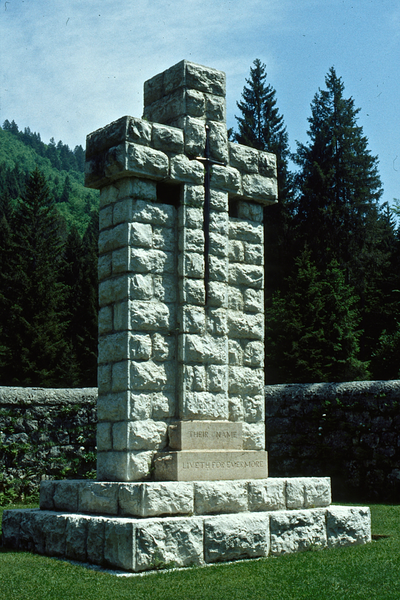 From Asiago take the SP349 in the direction of Canove di Roana and Cesuna. In Canove di Roana turn left onto Via Monte Lemerle and follow this road to Cesuna. 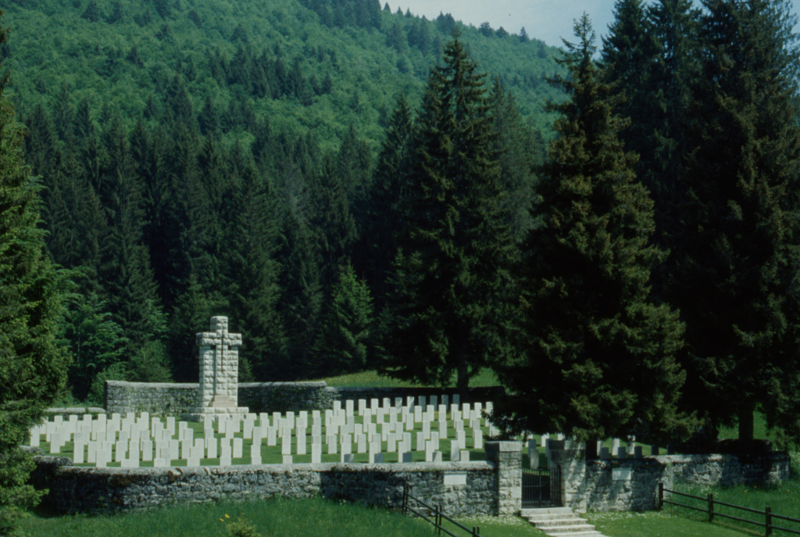 In Cesuna look for the yellow signs to 'Cimitero Inglese Di Guerra Val Magnaboschi' and take the left turn onto Via Magnaboschi. 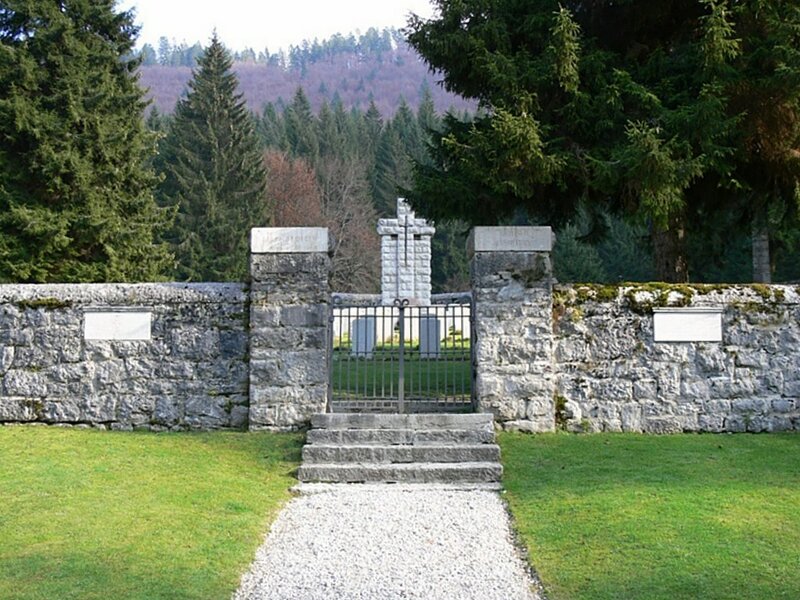 At the end of this road is the chapel of S. Antonio. 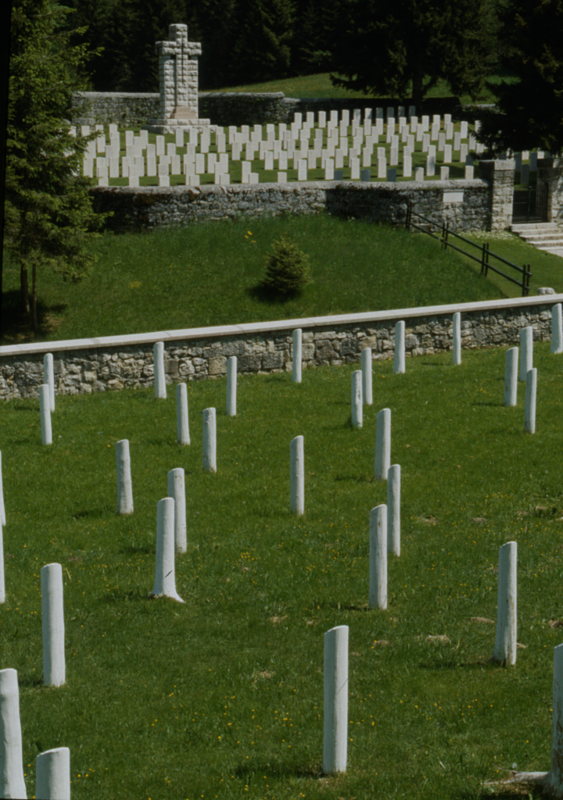 A gravel track leads to the cemetery approximately 100 metres beyond, situated next to an Italian war cemetery. 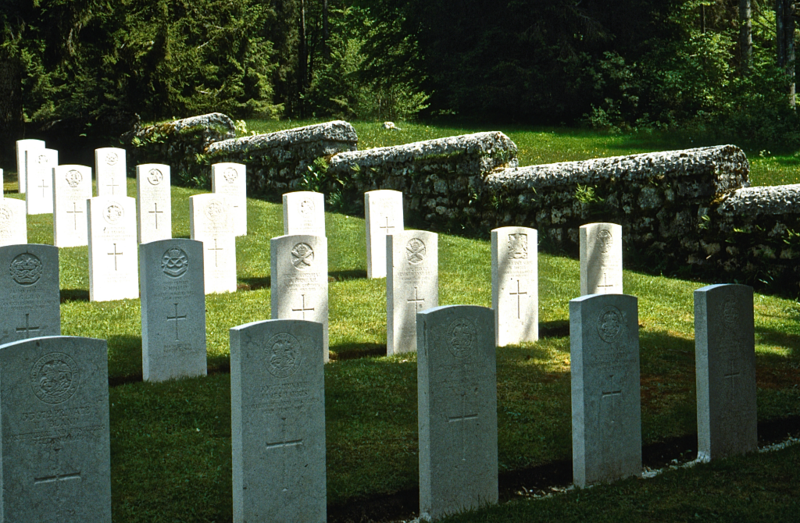 Cemetery address: Via Monte Zovetto 36010 Roana VI. GPS Co-ordinates: N 45.825734, E 11.460714. The cemetery is permanently open from November through to May and it is rarely accessible due to deep snow falls. 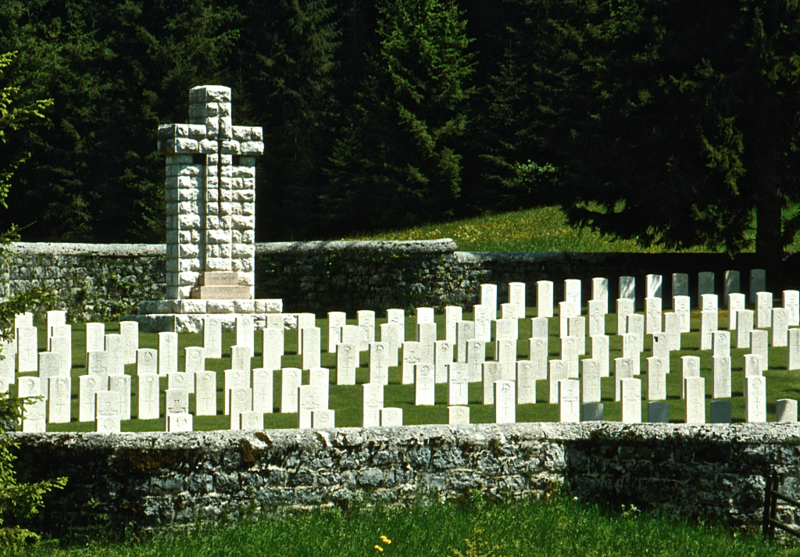 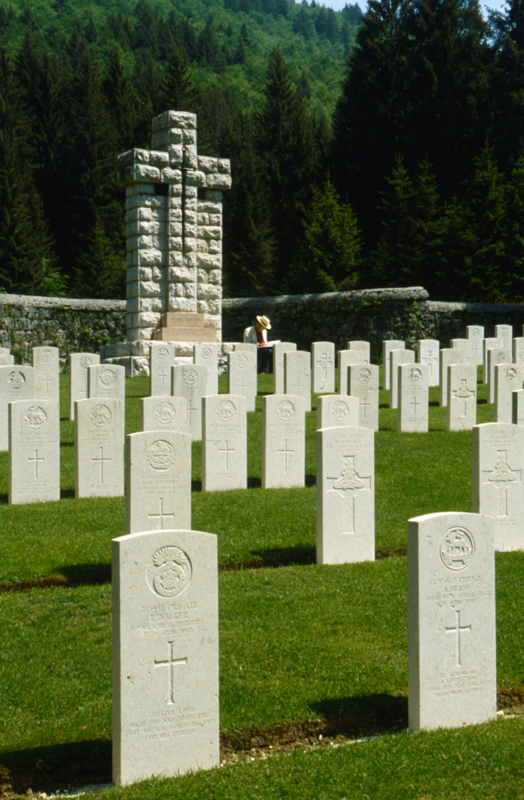 Magnaboschi British Cemetery is one of five Commonwealth cemeteries on the Asiago Plateau containing burials relating to this period. 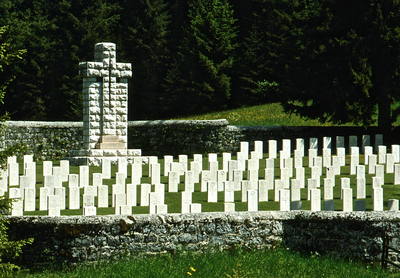 It contains 183 burials of the First World War. 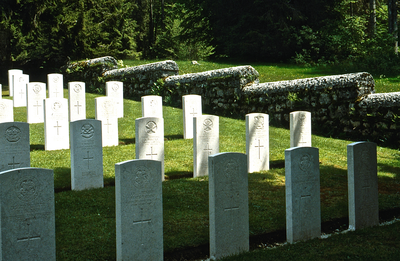 This includes Special Memorials to 4 burials in Plot 3. 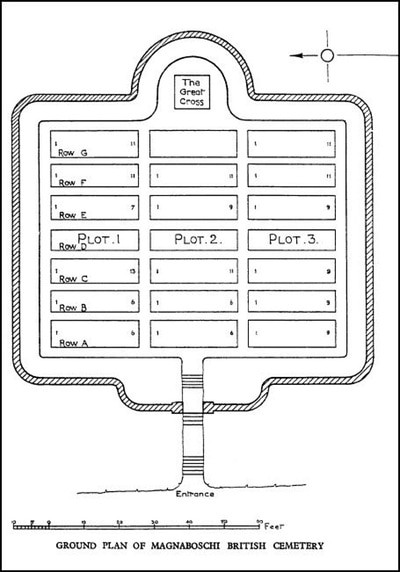 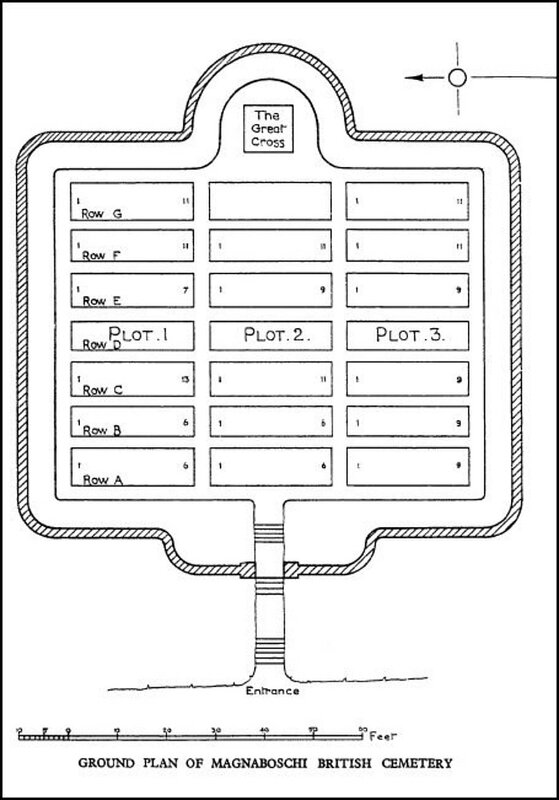 Row D. Graves 4, 5, 6 and 8, of which the burials cannot be individually identified.